Is Your Child Psychic? Take This Quiz! If you are wondering if perhaps your child has psychic abilities, then there are some questions that you need to ask yourself to help you determine the answer. Children are innocent, untainted by the world, untouched by the evils of life. They are very sensitive and very able to pick up on subtle energies that are overlooked or unwanted by adults. A roaming spirit can reach out to the mind of a child easier than an adult because the adult is complicated by life. It is the innocence of children that make them especially prone to the development of psychic abilities. - Does your child have emotional swings - being happy one minute and then suddenly seemingly saddened? - Is your child very quick to emotion. Does he or she get upset at the slightest of issues? - Does the child sleep in a disturbed fashion? Does he wake up for no apparent reasons? Is it at the same time every night? - Does the child talk to themselves or to their imaginary friend a lot? - Is your child full of adult-like insight? Does he or she dumbfound you with things that no child should seemingly know? If you want to know if your child is psychic, then you have to start paying attention to the things that the child pays attention to. You have to encourage the child to talk to you about the situation, and any other situations that you find to be out of the ordinary. - Has your child ever told you that someone is coming to visit before they do? - Does your child tell you that she communicates with people that you know to be dead? - Does your child say that he sees things that you cannot see? - Does the child report smells or sounds that you do not smell or hear? - Has your child ever told you of events, past or present, that he should have no knowledge of? When people are gifted with psychic abilities, they normally know about it early on in life. They may not understand it, but they will talk about it with you if you ask them. You simply need to approach the situation casually and naturally. If they sense that you are worried, afraid, excited or uneasy about the concept, they might hide it from you. Of course, some psychics do not realize their gifts until later in life when they have had enough experiences with it to see that it is not common. A child that experiences psychic abilities may not know that everyone else doesn't have the same experiences. 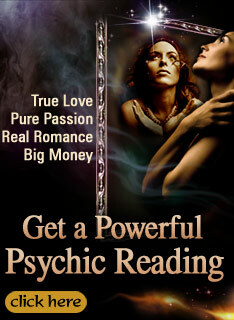 Obviously, psychic abilities are gifts from a power that non-psychics can never understand. If you feel or know that your child is psychic, then you need to accept it as a blessing and always encourage the child to express what he or she feels, as you should also with a non-psychic child. Being psychic doesn't change the fact that a person is human and that they still have the same needs that we all do, especially as children. Nurture your psychic child as you would any child. Show patience, love, acceptance, and never judge. And remember that your child is only "yours" to guide and to help develop - not yours as in ownership. 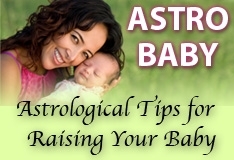 Take the years that you will have with your psychic child and encourage holistic growth and happiness within its life. Hello,back in 04'is when my night mare started one of my girls was molested by my mothers boyfriend.I did all the prosecution thing and not to make it to long this monster was not lockup because acording to the judge there was not enough evidence because my daughter became so traumaticed that she was afraid to talk, this went on for 3long yrs.God knows why my mother staid with the monster.As of my daughter they have given her 5yrs to talk if not the case was going to be dropt. BUT THE LORD HEARS YOU WHEN YOU CALL FROM THE HEART AND SOUL OUR PRAYERS WERE ANSWER!After all the night mares, therapy and long days of no sleep on oct29'07 my girl got brave and finally talked. A week after the dark shadow was put behind bars. I was told by a tarot reader that I needed to be really care full with this monster because he was going to do something to get back at me that he had people that helped him. Well on feb8,08' I was rush to the hospital thinking I was having a heart attack and many more times,dizzy headaches cant think right, my body is numb all the time doctors cant find what is wrong with me? till today I keep asking "GOD HELP ME,WHY DID I SEE MY BODY FROM THE CORNER OF MY ROOM? DO I REALLY HAVE THE POWER MANUEL SAID?I JUST WANT TO PLEASED YOU "LORD" PLEASE GUIDE ME I LEARNED THE LESSON KNOW HELP ME LEARN THE MESSAGE.I AM HUMAN AND MAKE MISTAKES BUT I AM TRYING TO DO MY BEST WITH THE TWO ANGELS YOU PUT UNDER MY CHARGE. I AM IGNORANT AND CANT PUT IT TOGETHER TO COMPLETE THIS PART OF MY CHART IT IS HARD WHEN FOR THE PAST TWO YEARS I HAVE BEEN FEELING SICK AND AFRAID!I KNOW I AM NOBODY TO QUESTION YOU BUT PLEASE COME TO MY HELP I KNOW YOU ARE GLORIOUS AND SOON WILL GIVE ME MY HEALTH BACK. YOU ARE THE ONLY DOCTOR THAT CURES EVIL. LIKE I HAVE ASKED FOR THE PAST 2YRS! If you wonder what happen to the monster,was set free after only serving 6 moth 5yrs probation because what he did was "minor" and jail is over crowded.PLEASE PARENTS TAKE CARE OF OUR ANGELS THEY ARE BORROWED NOT GIVEN, TALK WITH THEM EVERY DAY.LET THE KNOW THEY CAN TRUST YOU TEACH THEM TO TAKE CARE OF THEM AND RESPECT THEIR BROTHERS/SISTERS! to all of you take care.Silvia with all respect, if you or anyone has any answers for me HELPME! my daughter has seen spirits.but talks more about seeing angels.and has also talked about three past lives.as i speak about this she is having trouble sleeping,crying alot,very moody,and very afraid of o death at this point worried that in her next life we will not come back as mother and daughter.i really don't know where this all comes from.two years ago she was afaid of floods not water just flooding ,i had i long two years with this one.stomach pain not sleeping ,i couldn't take her anywhere that had water even peoples houses ,dishwashers ,sinks,toilets,washing machines,i had to lower the water in my toilets and not do dishes or clothes untill she was asleep a night.this all came about one day when our tub over flooded.she told me she was on a big ship with her father,mother and sister and the boat was sinking and her father had to throw her and her sister over broad and they drowned.and another time. she was alittle girl and drowned in a lake she was yelling for her momma and her momma didn't hear her .she drown. she did this for a couple years called me momma and she had always called me mommy.if anyone can help my daughter sara please e-mail me at rmkseven@yahoo.com thank you and many blessings in need of help..regina in baltimore maryland.she is having trouble sleeping again ,moody, crying,and lot of stomach pain. Pretty much describes every kid I know. Not really that definitive, everyones psychic one way or another, or just prone to mood swings and vivid imaginations. And on psychics, damn the lack of an edit, my cousin is quite psychic, mostly clairvoyant. On the history thing, we retain a few memories of our past lives, but we forget them as we are filled with all the "new" things in life. Which is a shame, life would be so much easier if we could retain our memories better.